You can’t feel head-to-toe clean without a refreshing shampoo and conditioner. 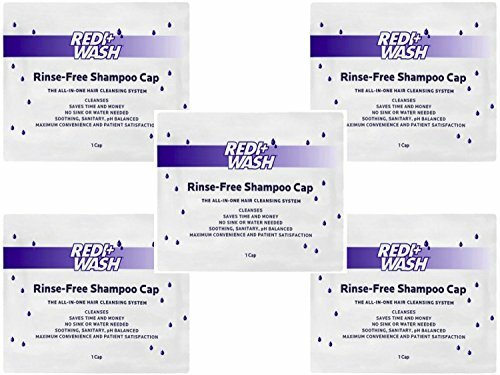 ReadyBath shampoo caps are great for anyone that wants to clean and condition hair without taking a bath or shower. 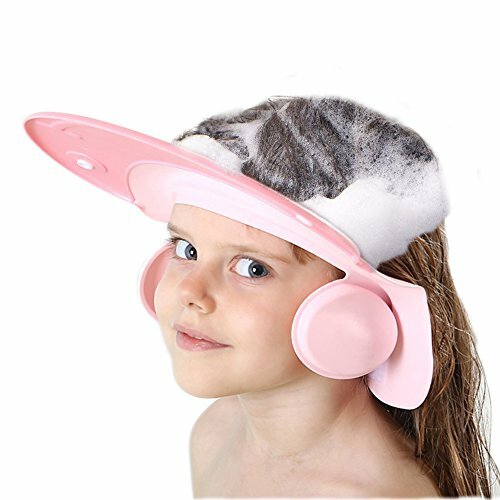 Requiring no rinsing, each pre-moistened cap cleans and conditions in one step without making a mess with hair products, towels, and basins. Whether you’re stuck in bed, or roaming the wilderness, ReadyBath Shampoo Caps with Conditioner are the fast and easy way to clean and condition hair - and enjoy a soothing, relaxing scalp massage. 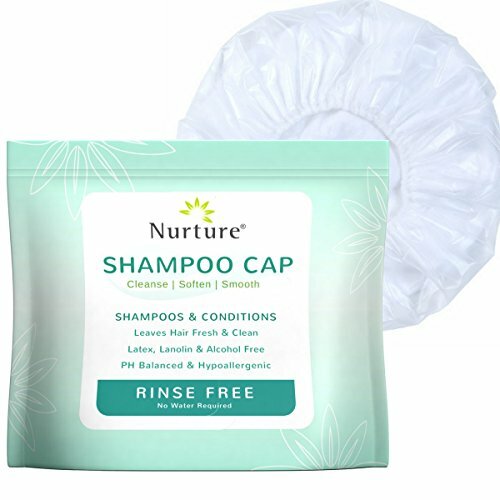 Nurture No Rinse Shampoo Cap delivers a hassle free shampooing experience with absolutely no water required. Great for hiking, camping, backpacking, bedridden & disabled persons or any time a shower is unavailable or tough to get to. Features a pleasant soothing formula that shampoos, conditions and rejuvenates hair for lasting results. PH Balanced, Non-Sensitizing, and Hypoallergenic. Latex, Lanolin & Alcohol Free. 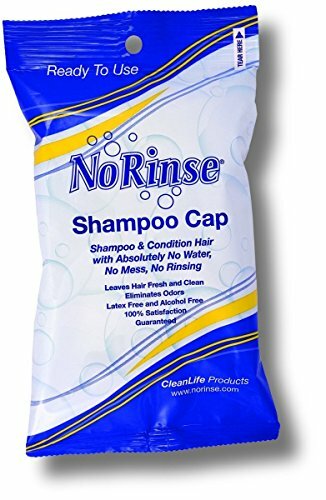 No-Rinse Shampoo Cap is an easy way to shampoo and condition your hair with no water * no mess * no rinsing. 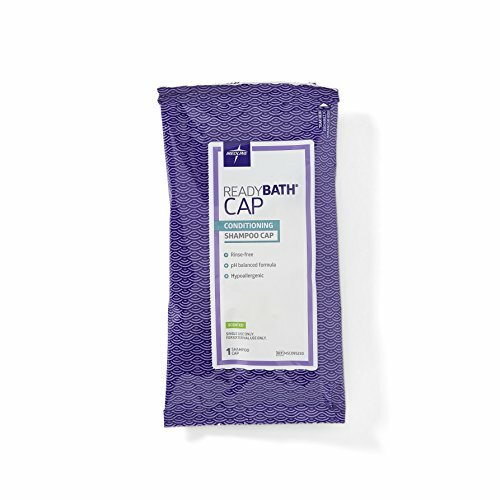 The one-piece cap contains a combination of No-Rinse Shampoo and No-Rinse Hair Conditioner leaving your hair fresh and clean and manageable. 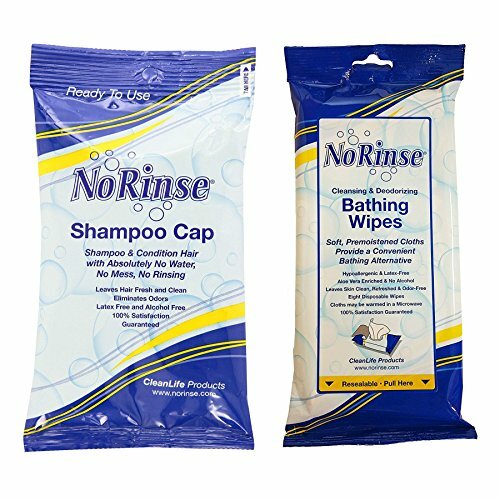 No-Rinse Shampoo Cap is easy to use: Place cap on head, massage hair through shampoo cap until hair feels saturated. Remove cap and discard. Thoroughly towel dry, comb and style hair in a normal manner. Latex free and alcohol free. For a warm, relaxing shampoo, the package can be heated in a microwave prior to use. 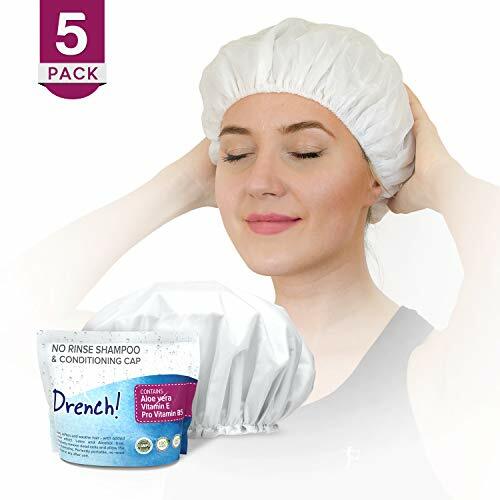 Includes 5 single use shower caps. 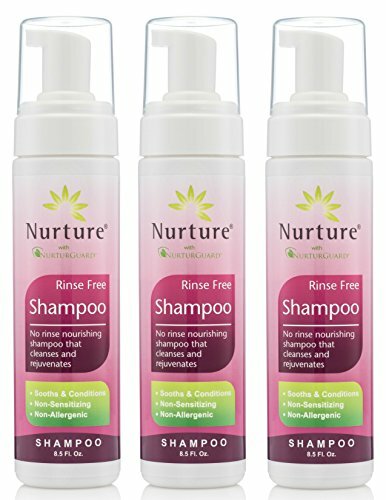 Nurture Rinse Free Shampoo is a hassle free, no rinse nourishing formula that cleanses and rejuvenates hair for a clean fresh feeling without the need for a shower. Great for hiking camping backpacking bedridden persons or any time a shower is unavailable or tough to get to. Foaming pump makes for a mess free simple shampooing experience without the need for extra towels or wash cloths except for when drying. Try our waterless shampoo risk free with our no questions asked money back guarantee. 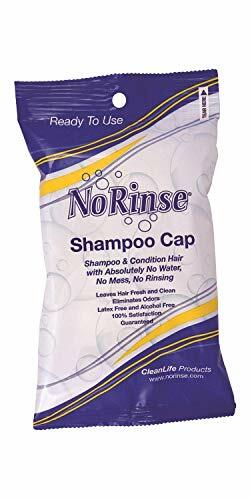 No Rinse Shampoo Cap is an easy way to shampoo and condition your hair with no water - no mess - no rinsing. The one-piece cap contains a combination of No Rinse Shampoo and No Rinse Hair Conditioner leaving your hair fresh and clean and manageable. 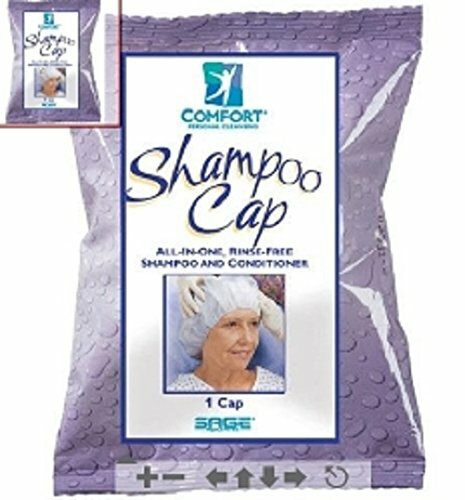 No Rinse Shampoo Cap is easy to use: Place cap on head, massage hair through shampoo cap until hair feels saturated. Remove cap and discard. Thoroughly towel dry, comb and style hair in a normal manner. Latex free and alcohol free. For a warm, relaxing shampoo, the package can be heated in a microwave prior to use. 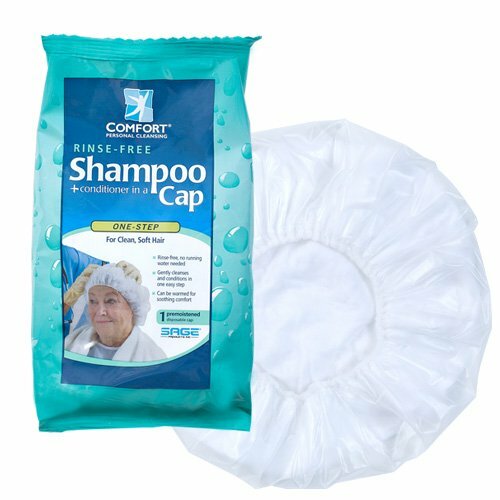 Includes 30 single use shower caps. 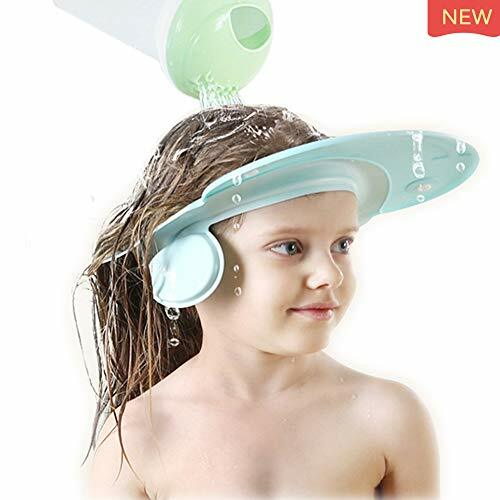 Take a Pleasure Shower for Your Infants,kids and Children Prevents Shampoo Water from Entering Eyes and Ears.New VersionShampoo Cap has New Adjustable Version Design: Magic Buckle which is Easy for Adjust the Size.Shampoo Cap with New Protection of the EarsRecommended AgeRecommended Minimum Starting Age is 18-Mounth-Old (Roughly 17.6 inches on Average in Head Circumference).If the Shampoo Cap is too Big for your Child, don't worry! 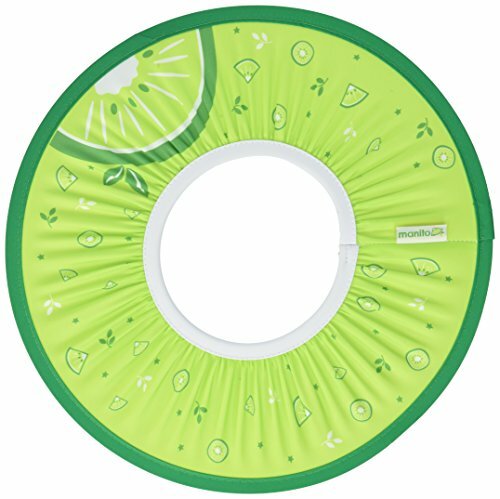 Your Child will Grow into it, and When He or She does, the Fit will be Comfortable and Secure. Replaces shampoos, conditioners and rinsettes. Complete, one-step hair care system. Convenient, microwavable cap. 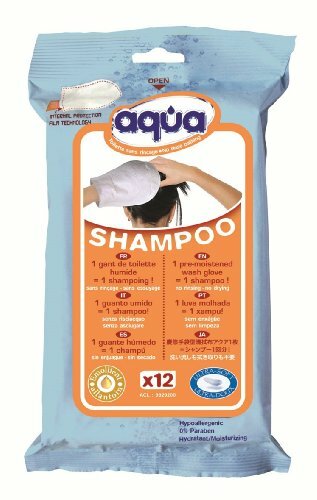 Several times cheaper than conventional no-rinse shampoo caps, the No-Rinse Aqua shampoo Gloves from Cleanis are pre-moistened on both sides with a protective scientific formula that removes excess sebum and buildup, leaving the hair fresh, clean and odor free. Dermatologically tested, the protective cleaning solution is gentle to the hair or scalp. It's non-irritating to skin or eyes. The caregiver's hand is protected by the unique glove inner liner. Absolutely no water is necessary: just don the glove, massage the hair and that's it. No towel required. Does not tear or break easily like EVA sponge or vinyl made shampoo caps. Manito shampoo cap is made with high quality eco-friendly fabric that is also friendly to your baby's sensitive skin and its water-repellent and waterproof, durable and hygienic. Soft elastic band securely fits on your child's head regardless the size and shape for all ages. 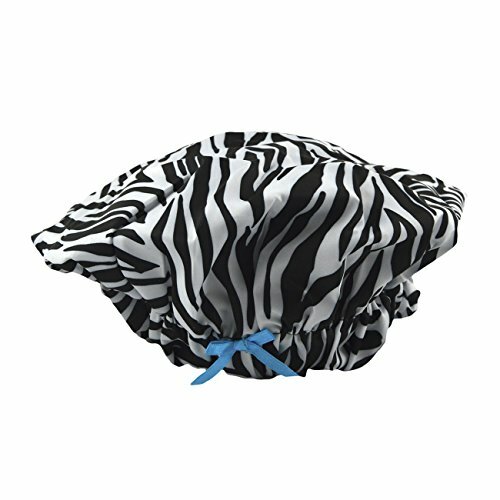 Unlike other shampoo caps in the market, its unique twist and fold design makes easy to carry when traveling. Outer Diameter: 11" (approx.) Inner Diameter (Elastic Band): 4" (approx.) Made in Korea Recommended age of use: 12 months and upNote: When worn for the first few times, it may feel tight due to characteristics of elastic band that fits onto the head. As this is normal for any brand new products consist of elastic material that needs a break-in period, elastic band will loosen up and feel more comfortable overtime. Elastic is made tight so that it does not slip down the face during bath and also to prevent water from passing through and wet the face. Also, please note that not all babies like to put something on their heads. It may take some time to get used to putting the hat during bath.